Blizzard Entertainment has officially made an announcement confirming that players will now be able to change their hero’s skins before a match begins. The update is being rolled out today as part of the Year of the Dog Update which also contains a special event for all players. The game is all about making your hero stand apart from the crowd. While skilled gamers look at earning more kills and winning matches, the majority of the player community relies on loot boxes and skins to keep them going. After all, you may hardly make much of a change especially if you are new to first person shooters and even veterans may find it difficult to use powers as well as shoot at the same time. Like many other popular MOBAs and other multiplayer titles, Overwatch offers lots of customization options. The fun and silly skins are definitely a welcome addition to the game’s otherwise serious environment. For a very long time, players were asking the development team at Blizzard to roll out the ability to change skins when matchmaking and hero selection is in progress. The team has finally accepted the request and the feature will be added to the newest update that rolls out today. Overwatch will get the Year of the Dog update commemorating the Chinese New Year and the update will be rolled out at the same time on PC, Xbox One and PS4 consoles. It will bring new skins, weapon skins and other fun game modes to play apart from the usual modes that players mostly indulge in. An animated gif of how the new update will work was posted online by Blizzard. You will be able to change your character’s skin after choosing the hero. The same will not be allowed once a match begins because the developers opine that the more fashion conscious players may spend along time choosing their skin while a match is still in progress. It might annoy their entire team and will disrupt the gaming experience. When players successfully download the new update for Overwatch, they get the opportunity to play in a new map set in Thailand and it has been designed from the scratch to be a highly competitive Capture the Flag map. 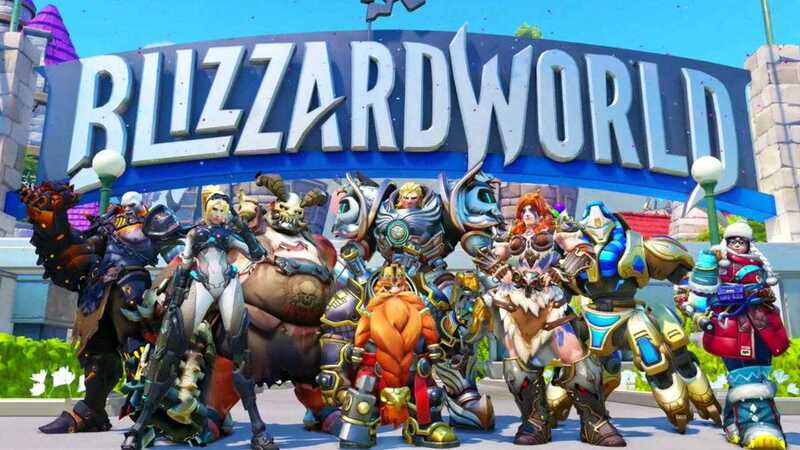 Blizzard recently launched the Blizzard World map and they have confirmed that more new heroes, maps as well as interesting content are planned for the game in 2018.